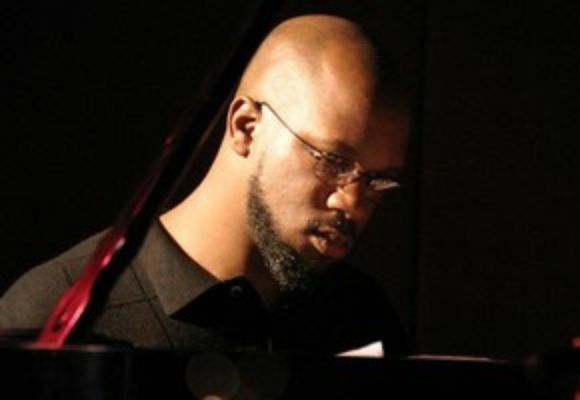 Since moving to New York in the winter of 1995 Orrin Evans has been recognized as one of the most distinctive and inventive pianist of his generation. In a short span of time Orrin has earned the titles of pianist, composer, bandleader, teacher, producer and arranger. Growing up in a musical city like Philadelphia was extremly important to early development of Orrins career. Philadelphia afforded Orrin the opportunity to study informally with the likes of Trudy Pitts, Shirley Scott, Mickey Roker, Bobby Durham, Edgar Bateman, Sid Simmons, and formally with William Whitaker, Jack Carr, and Charles Pettaway. In 1993, after attending Girard Academic Music Program, Orrin was accepted into the Mason Gross School of The Arts at Rutgers University. While attending Mason Gross some of his teachers included Kenny Barron, Joanne Brackeen, Ralph Bowen, & Ted Dunbar. They instilled in him the importance of the fundamentals of jazz as well as the necessity of listening to and living the music. on their European tour. This opportunity introduced Orrin to the New York jazz scene. His recording and performing resume includes Wallace Roney, Mos Def, Common, Pharoah Sanders, Antonio Hart, Carmen Lundy, Ralph Peterson, Ralph Bowen, The Mingus Big Band, Roy Hargrove, Nicolas Payton, Brandford Marsalis, Gary Bartz, Eddie Henderson, Sean Jones, Tim Warfield, Ravi Coltrane, Robin Eubanks, Duane Eubanks, and Dave Douglas. and is presently working on the release of their sophomore recording. , a quality that has undoubtedly assisted in keeping Orrin at the forefront of the music scene. Evans spent 3 years as a teacher at the coveted Germantown Friends School where he taught middle school music and conducted three jazz ensembles. He returned to Settlement Music School to teach individual piano lessons, theory lessons and an advanced jazz ensemble. He continues to be a musical commentator, conducting workshops, clinics and master classes both in the United States and abroad, while continuing to record and tour with his own bands. , on the Imani Records label is available at retailers or on I-Tunes. Lately Orrins greatest joy has been producing projects for other artists like Sean Jones and playing with his own band, which at different times, has included such notables as Ralph Peterson, Jr., Sam Newsome, Ralph Bowen, Nasheet Waits, Reid Anderson, Eric Revis, JD Allen and Duane Eubanks.